A nostalgic ice cream shop, Manhattan Beach Creamery is located in sunny Southern California just steps up from the Manhattan Beach Pier. Open 10am to 10pm Sunday through Thursday and 10am to 11pm Friday and Saturday. We hand make all of our ice cream in small batches utilizing only the freshest and best quality ingredients. We showcase 28 flavors daily, and frequently rotate new and exciting flavors. If your favorite flavor isn't in our case, odds are you can find it in our pint freezer. 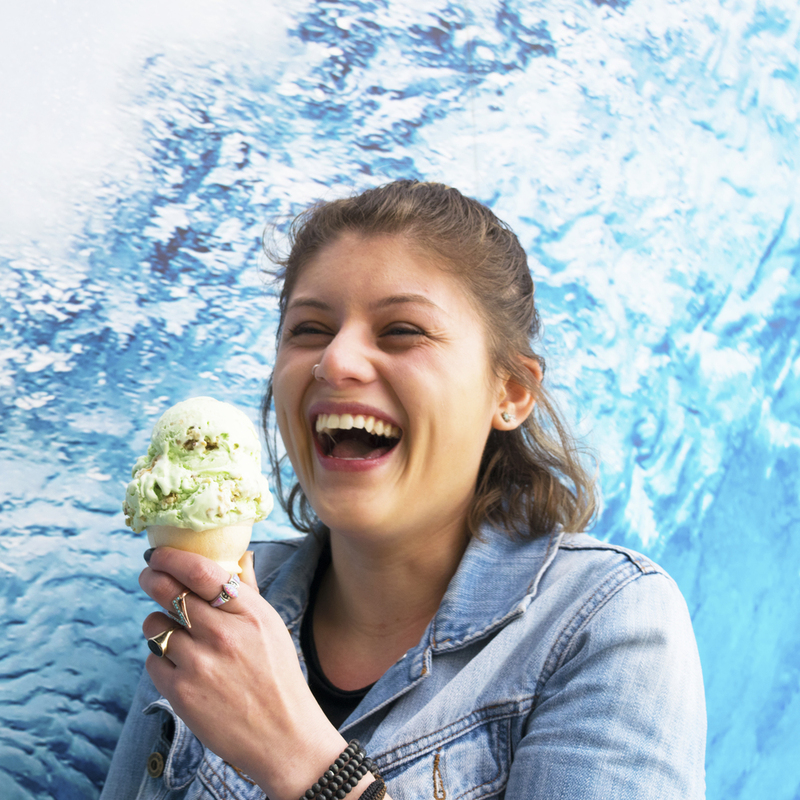 If you don't see your favorite flavor please ask one of our ice cream specialists for assistance. 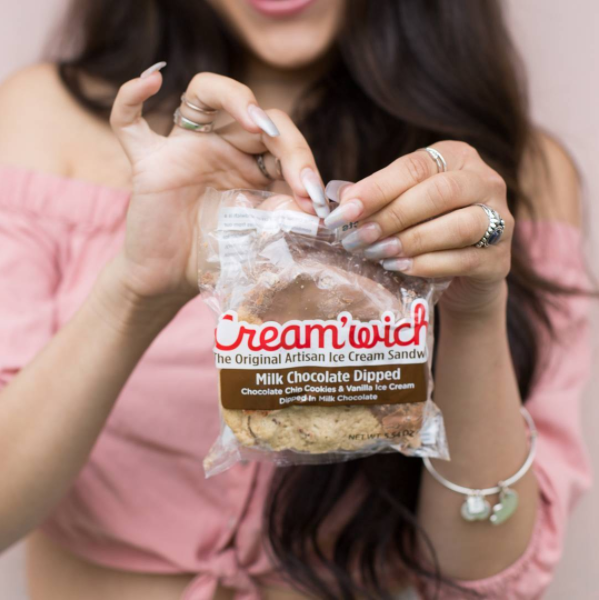 The Cream'wich ice cream sandwich is a combination of artisan cookies from our family business, Katella Bakery, and premium ice cream from our nostalgic ice cream shop, Manhattan Beach Creamery, both located in sunny Southern California. We married the cookies with the ice cream in 2012, and the Cream'wich was born. 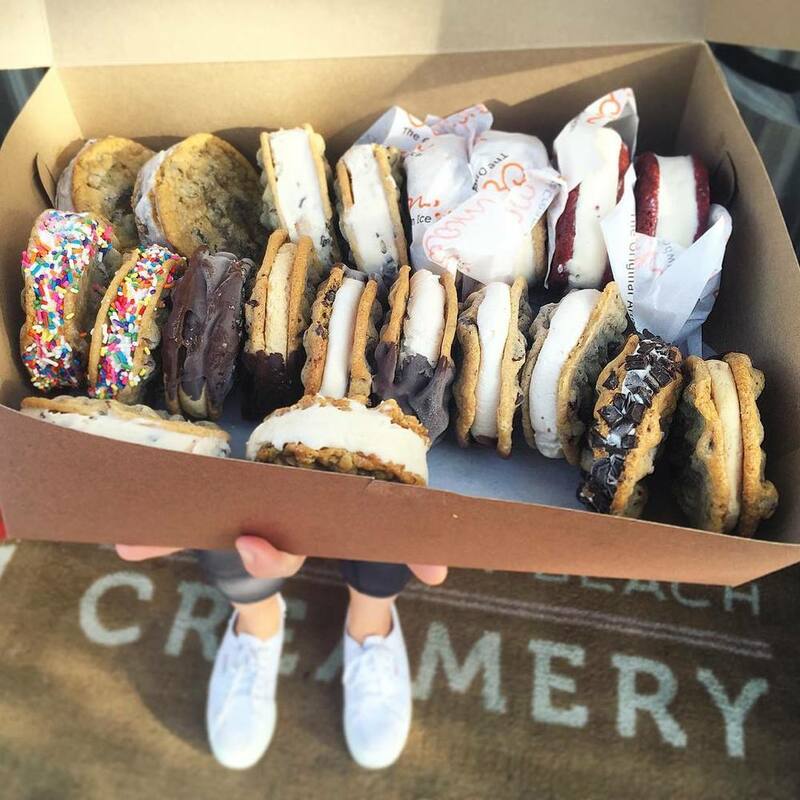 The Cream'wich quickly became Manhattan Beach Creamery's signature item. To meet extraordinary demand, we packaged the Cream'wich and began delivering it out of the back of our cars to local shops by the beach. Our frozen bananas are hand-dipped daily, using only the best Barry Callebaut Chocolate. Choose from plain milk chocolate, plain dark chocolate, sprinkles milk chocolate, almonds milk chocolate and almonds dark chocolate. Half-size bananas are available and make a great addition to special orders. Everyone has an extremely vivid and pleasant memory of where they went as a child to get their favorite candy - whether it was the corner store or their Grandma's candy dish. The Manhattan Beach Creamery is a nostalgic re-creation of that classic and bygone era.